Help us say TRAILL WOW this Giving Tuesday by donating to support the Traill College Endowment! Catharine Parr Traill College, founded in 1964, has a long and special history as part of Trent University. 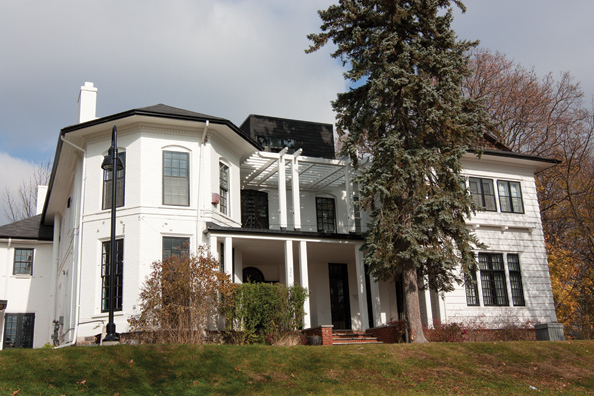 Primarily consisting of a collection of heritage houses of architectural and historical significance nestled atop a drumlin, it is a scholarly oasis near the downtown core. 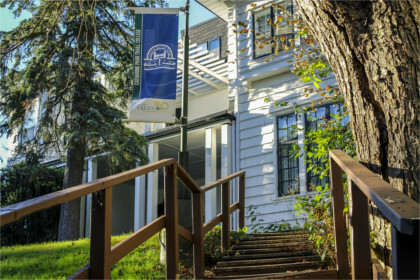 Traill College’s unique location makes it a natural gathering place for students living nearby and, as the home of Trent’s Continuing Education, it also welcomes hundreds of adult learners from the greater Peterborough community. This year has been very exciting for Traill. We are now home to 350 undergraduates and over 800 graduate students. After two decades, the College has its own Library again. It, along with the Junior and Senior common rooms, are located in Scott House and make the perfect off-campus hub for Trent students regardless of their college affiliation. Two years ago, Traill became the first Trent college to receive a separate endowment fund. 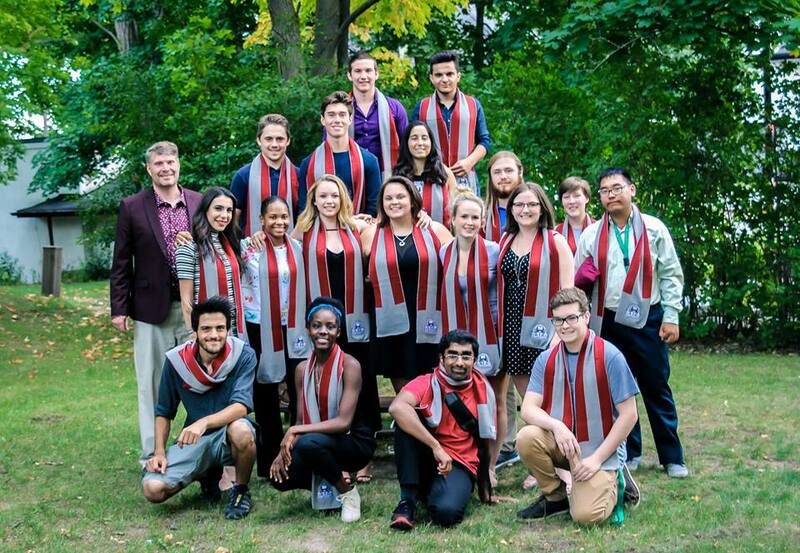 Thanks to incredible alumni and donors like yourself, we have raised over $250,000 - and are well on our way to making the College financially sustainable. As we strive to grow our College and make it more of an inclusive place for students, we need members of the Traill family like yourself to join us. Development of unique, collegiate programming that values the traditional spirit of the university that you remember based on social justice, meaningful faculty/student engagement and lots of fun! As an added incentive: the president’s office has issued a challenge to propel this day forward. The college with the highest participation per capita will receive $5,000, and the college that has the highest number of first-time donors will receive an additional $5,000 - which could mean an additional $10,000 on top of our $15,000 goal to support Traill's growing endowment! 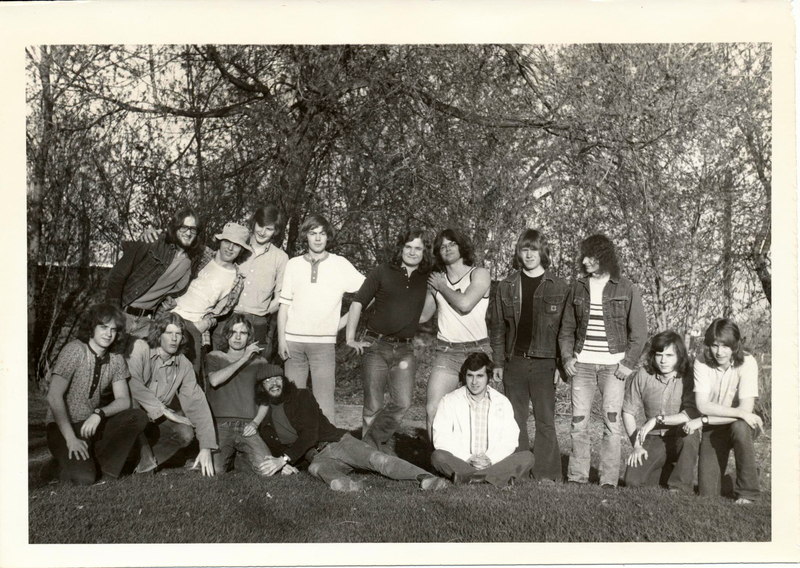 Langton House, 1972-73 Can you guess which is challenger Greg Piasetzki '72?